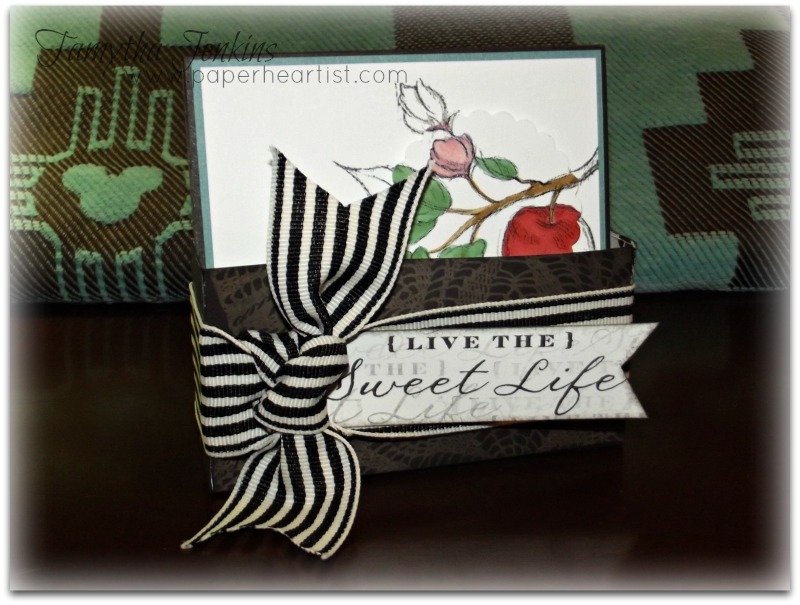 Paper HeARTIST: July Stamp of the Month..."Sweet Life"
July Stamp of the Month..."Sweet Life"
The blog hop makes a circle so if you are starting here just continue until you make your way back and you will have made it through them all. If you have already started and are coming from Lalia Harris' blog, "Crafty Lalia", then you are on the right track. I chose to make a little 4x4 set of cards using this month's stamp of the month. They were really quick and simple to make. I stamped the image with black archival ink on a 3 3/4" x 3 3/4" of white daisy cardstock. Next, I stamped it again on a piece of scrap and used a variety of alcohol and water-based markers to color in the image. Then I used my 2" scalloped circle punch to punch out a portion of the colored image and used foam tape to adhere it to the black and white image. Lastly, I simply stamped the sentiment on the front and adhered to a piece of 3 7/8" x 3 7/8" colored cardstock, then to the black card base and finally adding a few bitty sparkles. 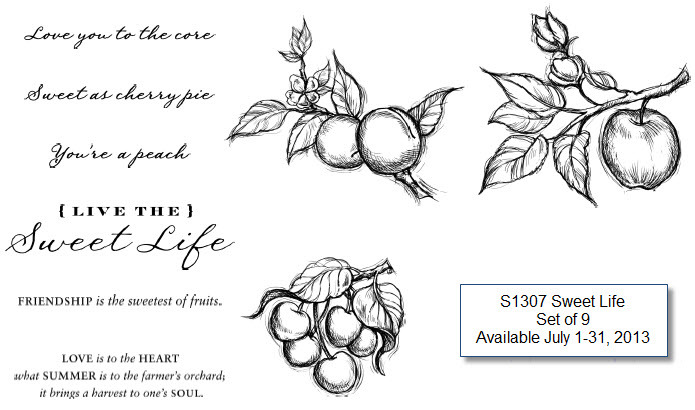 Remember, if you love what you've seen so far along your SOTM Blog Hop journey, and you want your own "Sweet Life" stamp set or want to get it for the amazingly low price of $5, be sure to contact your Close To My Heart Independent Consultant. If you don't already have a consultant, I'd love to be yours. You can find details on the "Stamp of the Month" by clicking on the "Promotions" tab at the top of the page or purchase your SOTM here. Of course, if you have any questions, please don't hesitate to contact me. If you have time, take a moment or two to check out the rest of my blog. If you enjoy your visit, then please consider "Following Me", signing up to receive blog updates, and/or leaving a comment (we all love comments...the nice ones anyway), then be sure to continue along on the hop by heading over to Annette Green's blog, "Annette's Creative Journey" and check out her project. Really sweet little card set, Tamytha. Clever idea with the scalloped circle. I love your colored in cards. I need to try that technique with my gals. It looks so fun! great idea & super sweet cards! Great cards! love the idea with the scalloped circles! Love the visual interest your coloring technique coupled with the scalloped punch creates. I love the colored focus on these cards!! Such a beautiful technique!! I love the use of the punch. I adds that extra little thing! Sweet little cards. Like your spotlight technique.